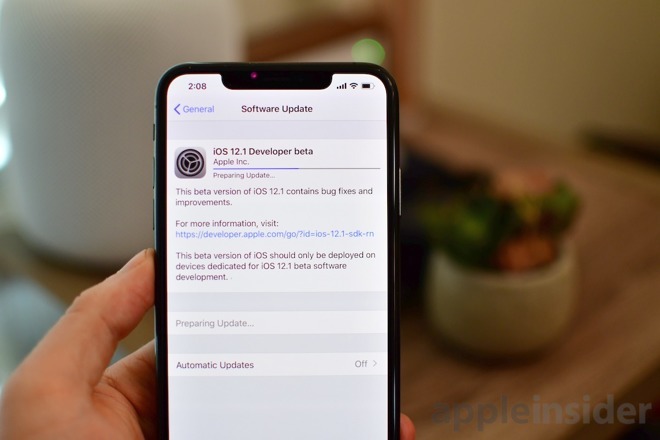 The first beta of iOS 12.1 was released earlier this week for existing iPhones, but now that the iPhone XS and XS Max are available to customers, additional builds have been released. This comes at the perfect time for customers eagerly receiving new iPhones today, as it is impossible to restore a new phone from a backup of a newer version of iOS. So, if a user's current iPhone was running iOS 12.1 beta, there is no way to restore from a backup of that device, running that version of the operating system until the new iPhone XS or iPhone XS Max is updated to the beta as well. The iOS 12.1 beta seems to be a minor update this far, mostly just including support for Group FaceTime. Other minor changes were found in the code likely destined for the new iPads landing this fall, such as horizontal Face ID support.